Brand new OEM original factory part. 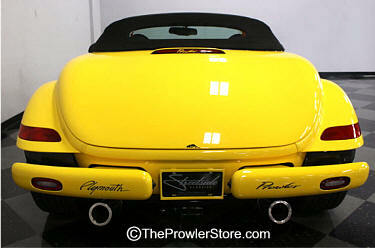 Specify what year your Prowler is. New bumpers from Chrysler only come black. Note: Does not include all the mounting hardware. Sold separately. Comes only in 2000-02 Black. Fits all years. Note: If you want a specific logo embossed on the pass. side bumper you must request it. Note: Passenger side bumpers have no logo. 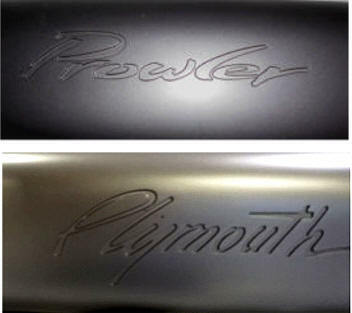 New rear bumpers do NOT offer "Plymouth" embossed logos anymore. 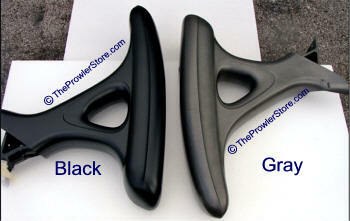 **We can get you a new with the Plymouth Logo call to ask price and availability (352) 688 8160 M-F EST. Used OEM original factory part in very good to excellent condition. 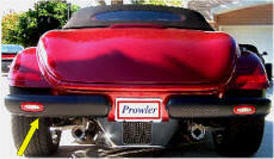 ALL Prowler bumpers came from Chrysler painted. 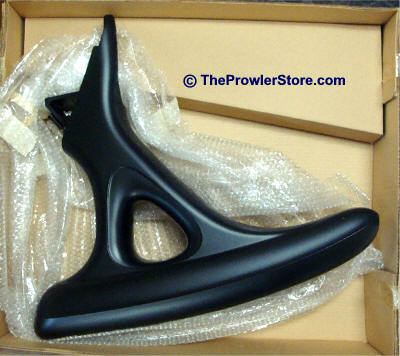 **IF you specify what year your Prowler is and is your bumper Dark Grey-Black or Light Gray - If we have it we will comply. However, we can not guarantee a particular color. New Paint Service includes a new paint job to factory color gray or black. Includes light fixture with wiring harness installed. Does not include bolts. **If you need a particular logo or color call us. 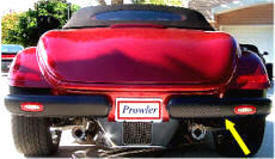 ALL Prowler bumpers came from Chrysler painted. 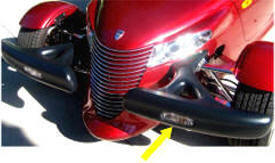 These bumpers do have the factory embossed logos available. If you want a specific year and logo please ask. 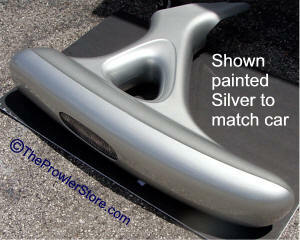 We can custom paint to match car - just call us for pricing. **If you need a particular color call us.